Huw Rees | New Year…. New Laptops! 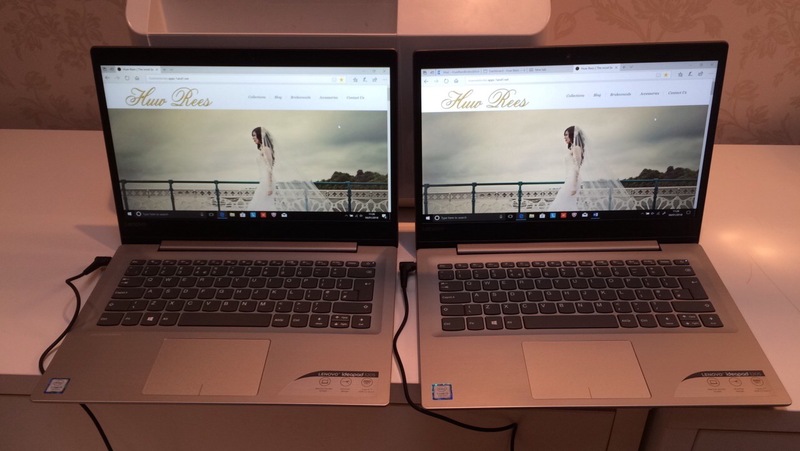 Our two new laptops are now up and running and ready for business. After Huw Rees trying his best to set up the laptops…. Nia came to the rescue! Next on the list is to update the website to showcase our beautiful new dresses from our fantastic designers. We just can’t wait for you to see them…. we are in LOVE! Sara will be keeping you updated with up and Coming Wedding fayre dates, Huw will be busy blogging his top tips, Nia will be updating the new collection dresses and Marie will be posting up the dress of the week soon. Keep an eye out ladies.